MR100 Need help with upgrades. 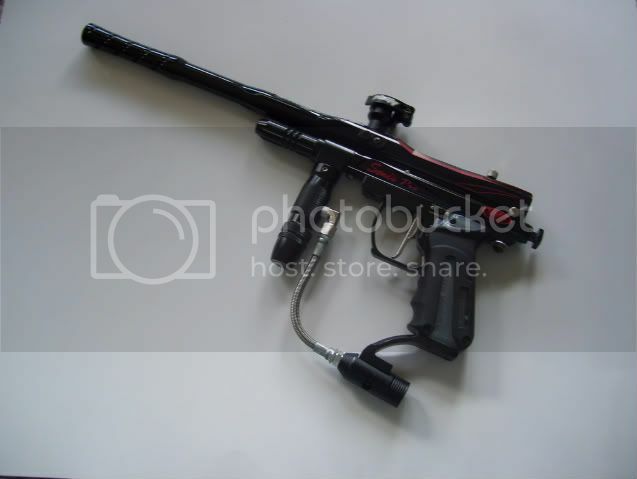 I just started playing paintball this year and for my first marker I went with the spyder mr100. I love the gun a-lot!!! I have been playing paintball almost every Sunday since June. I haven't had any problems with the gun so far (as far as chopping or any other technical issues). I only had like 2-3 breaks out of all the times iv been playing. I'm Really a big fan of scenario, recreational, and woodsball. I have been playing a little bit of speed ball but its not my type of sport....yet. The reason why I brought up this forum was to ask about any Internal or external upgrades that anyone can recommend for this marker. I have been looking online for bolts, regulators, valves, ASA adapters, or feeders. I looked up online and I have seen some items that fall under the category of kingman spyder upgrades but I'm not sure which one to choose from or which one will fit in my marker. I've been told many times to just buy a new and better gun instead of spending money on upgrades so please try to refrain by not posting that suggestion. Re: MR100 Need help with upgrades. Palmers work great with both CO2 and HPA, since price isn't an issue. When I bought my spyder mr100 it came with a 20 oz Co2 tank that i have never used. I bought my self a hpa tank instead because most of the places I got to play only use compressed air. It all depends on just how much you want to put into it, then. A used CP regulator is an excellent choice, and they aren't too badly priced. An AKA 2-Liter is the one that most people pull out as the most consistent regulator out there, but I have no qualms about my AKA Sidewinder either. Bob Long Torpedo's (newer models are called 360's) are good workhorses. They handle both CO2 and HPA fairly well, but not the absolute best. They are perhaps one of my most frequent recommendations for a Spyder simply because it really doesn't need an extremely high performance regulator. In the end, it is a mechanical system, versus most electropneumatic markers that can have their ram throw finitely timed and tuned. Keep in mind that just about every regulator can be used on another marker down the road, so if you ever decide to change things up you can still use it.